The Industrial IoT confernce focused on the vast opportunities in manufacturing and industrial applications. Hear about factory floor automation, fog computing, big data, bimachine learning, artificial intelligence and more. See the Industrial Internet in action at the Test Bed Use Case sessions. All use case sessions show groundbreaking IIoT innovation and applications in action. 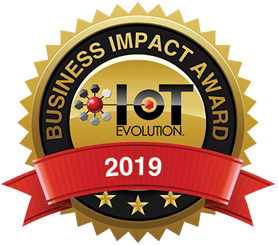 IoT Evolution Health is laser focused on showing attendees how IoT technologies, and associated business initiatives, can improve patient outcomes, drive down costs and expand patient's treatment options. This is the leading education and networking forum for Healthcare Enterprises, IoT developers, suppliers, and Health OEMs. IoT Evolution recognizes this important growth space in the IoT and knows that it has a responsibility to bring together the best possible information on how IoT enterprises can leverage this technology to improve their business through using the intelligence, control and automation, and predictive capabilities of the Edge. The workshop will cover will cover AI, Autonomous Computing, Smart Transportation and several other areas. Attend all IoT at the Edge Workshop sessions and receive a Certification of Specialization in Edge. This is an unmatched opportunity to hear and see cutting edge platform solutions from leading companies poised to help you manage and deliver your IoT solutions. 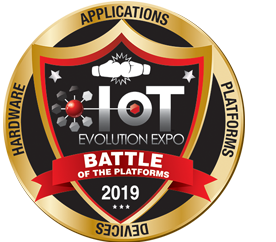 Whether you are looking to find the right IoT platform solution for your project, or are merely interested in understanding what the market has to offer – Battle of the Platforms will give you access to an excellent cross section of solutions, in a short amount of time and all in one location. Discover the nearly limitless potential of Smart Cities and how connected solutions will drive city wide improvements, better quality of life for residents and business opportunity for enterprises. Attend IoT Evolution's Smart City event and hear how your company can leverage these new capabilities to create new business models and drive revenue. The Case Studies Solutions Theatre will explore how to succeed at IoT, offering insight and experience through case studies that highlight real-world implementations. Hear about IoT and M2M strategies that have proven successful from top companies. Hear from companies and business leaders who have successfully implemented M2M and the IoT solutions to solve a business issue, launch a new service or create a revenue opportunity. Learn from their achievements. Join us to learn how Telit is working with organizations, large and small, to help them accelerate time to market and ignite profound business transformation centered on IoT solutions. At Telit IoT Innovation you'll connect with thought leaders and problem solvers who can help you translate IoT concepts into reality. There's no doubt that millions of companies will benefit from IoT but many do not and will not have the capacity or expertise to deploy IoT solutions on their own. This opens up a huge opportunity for the channel community. IoT in the Channel will explore where to start, how to build support and how to overcome obstacles in deploying IoT solutions. 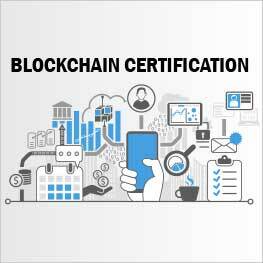 IoT Evolution's Blockchain Certification delves into the new technology that is laying the foundation for the digitization of businesses, humans, our economy and quite possibly our entire lives. As an IoT Evolution attendee, you will get access to this 1/2 day program that delves into both introductory topics as well as how blockchain establishes identity, encryption and security. If you are looking for an understanding of how this technology can impact your particular business - this program is for you. From field service to manufacturing, the IoT's impact on companies of all types is astounding. In order to derive the full benefit of the IoT, companies must be positioned to plan, develop and implement solutions. This track will identify and discuss enterprise Strategies and where IoT will have the most impact. The conference program at LPWAN Expo will take a deep dive into LPWAN technologies as well as narrowband IoT, CAT M1 and cellular. Other topics covered will include Security and application case studies in logistics, smart cities, industrial solutions and more.